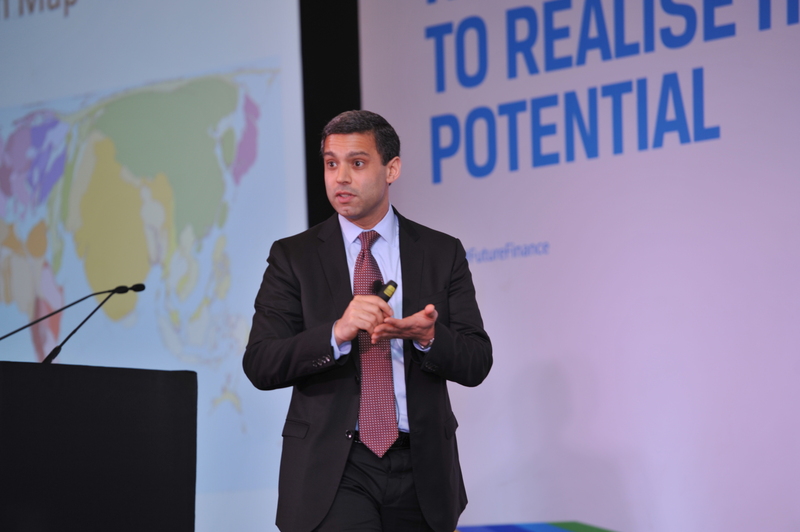 Vikram brought a very different perspective to economics and finance by depicting the world map as an economist would view it. Instead of the area weighted depiction of the land, he firstly weighted land in terms of the GDP. This bloated US, Europe and Japan relative to their actual size whereas India and Africa shrunk. Secondly he weighted land in terms of the population, which reduced the size of US and EU, bloated India, China and Africa. This pointed out to the fact that Population will be the next big asset which will drive growth. An advocator of demographic dividend, he focussed on Asia and Africa where population is expected to grow, driving growth. These regions have seen growing middle class which is necessary to propel the country into the next level growth trajectory. 20 years back 75% of the world’s consumers were in developed world which has today tilted towards emerging world with a similar proportion. Based on this he ran in interesting criteria on the economic data (per capita GDP and Population size) of various countries and came up with 15 names which will see a consumption boom. These countries are India, Pakistan, Nigeria, Vietnam, Philippines, Egypt, Indonesia, Ukraine, Algeria, Thailand, Iran, China, Peru, South Africa, and Columbia. The average per capita GDP of these countries is $4100. Vikram mentioned there is an inflection point in the consumption boom around $5000 per capita GDP which is when the Animal protein consumption takes off. There is a tendency of an average household to spend more on animal protein foods as income increases. Increase in animal protein intake will increase the demand for food grains since it takes 2kgs of grains to produce 1kg of Chicken, 4kgs of grains to produce 1kg of Pork and 8kgs of grains to produce 1kg of Beef. China which is at that inflection is seen acquiring poultries and agricultural land overseas. Even with high proportion of vegetarian population, India is expected to increase the animal protein intake though at a slower velocity. Any country which passes through this inflection point sees increased spending on Food, Travel (esp. Air), Healthcare and Education. The demand for these services will rise drastically and can lead to major investment themes in the emerging markets. Each of these above 15 countries will strive to increase the land under cultivation and also increase the land yield. This will lead to scarcity of agrochemicals, making countries in possession of fertilizer inputs, eventual super powers. Social unrest including Arab spring can also be linked to expensive food prices. Historically it has been seen that the UN food index crossing 210 and staying above for a sustained period of time causes social unrest. One good indicator of spotting a bubble is hubris which is easily visible in building the world’s tallest skyscrapers. Vikram demonstrated this by giving examples of world tallest buildings starting from Empire State building in 1929, Petronas towers in 1997 and Burj Khalifa in 2010 and financial crashes, recessions and economic stagnation associated with them. In 2015, China is expected to build the world tallest building which raises a need to probe further of the bubble dynamics. Oil price crash according to him was not bursting of a bubble but a demand supply dynamics which played out due to slowing world growth esp. China and increase in production from the US. Vikram insists that when it comes to investments one should be thematic and not be specific to sector or geography. He believes that due to the above mentioned consumption dynamics, individual themes will play out in sectors such as Energy, Infrastructure, Water, Land, Education etc. In the near term there won’t be an alternative for Gold and Oil, which will raise their demand and in turn their prices once again. In the Indian context consumption related sectors such as Banks, Autos are expected to do well. This entry was posted in Events, India Investment Conference, Mumbai and tagged #FutureFinance, #IIC15, @iaipcfa, Boombustology, CFA Institute, Edelweiss Securities, IAIP, Indian Association of Investment Professionals, Kunal Sabnis CFA, VEC Investments, Vikas Khemani, Vikram Mansharamani. Bookmark the permalink.